A unique ticketed excursion in which you can discover all the magic of the island of Formentera from a new angle. During the whole journey, the team will be at the complete disposal of the clients so that the experience is idyllic. During 6 hours of crossing, the passengers of Formentera Explorer will have the opportunity to enjoy a great variety of activities. First of all, after leaving the pier of excursions of Marina Botafoch, you will enjoy sailing on a luxury catamaran and discover the wonderful views of the coast. The first anchoring takes place in S’Espalmador, a unique place, which can only be reached by boat, here our passengers can enjoy our drinks and cocktail service à la carte, take a swim, sunbathe and relax. At 1:30pm we serve a delicious paella cooked on board with local top quality local products. After lunch, our catamaran goes to the beach of Ses Illetes, declared by different publications of the tourism sector, as one of the best beaches in the world. In this enclave passengers can snorkel and paddle surf with the equipment provided by our crew on board. 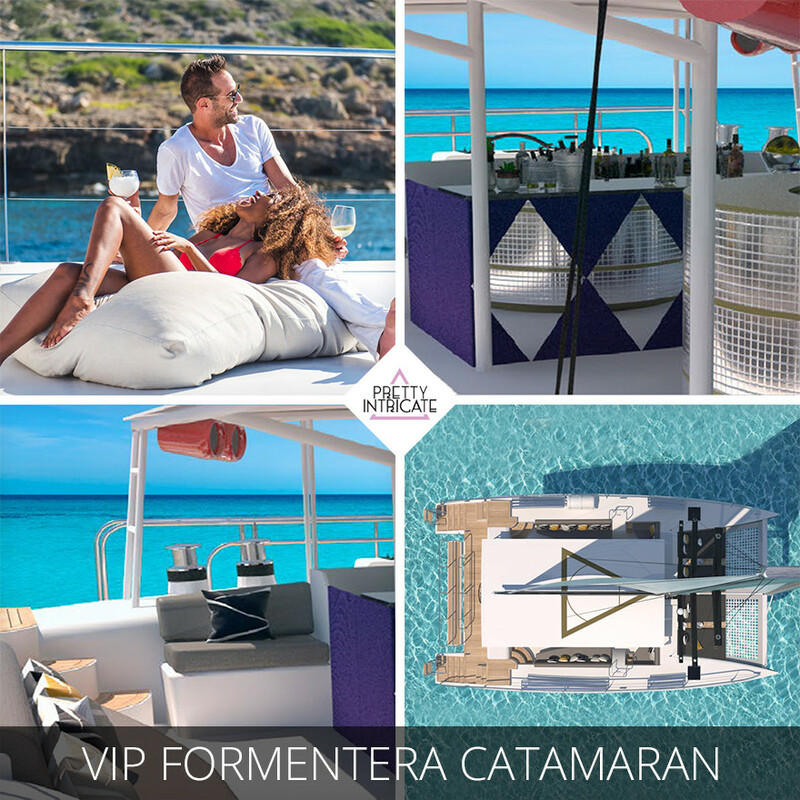 After enjoying the scenery, the menu and the wonderful beaches of Formentera, the catamaran will return to Ibiza to conclude a fantastic excursion.